Johnson’s Baby Oil is an absolute beauty staple for the UK – did you know that over 1000 bottles are sold in the UK a day? That’s enough to fill 600 bathtubs a year. That’s a lot of oil. I have been using Johnson’s Baby Oil since I was a teen, I used to use the oil gel as a leg moisturiser and there was also an oil mousse that I absolutely adored. I haven’t seen it for a while but taking part in this challenge has made me determined to track it down again – it’s a good alternative if you want all the moisturising properties, but with less residue. I also used to put drops of the classic oil in the bath for a moisturising boost. 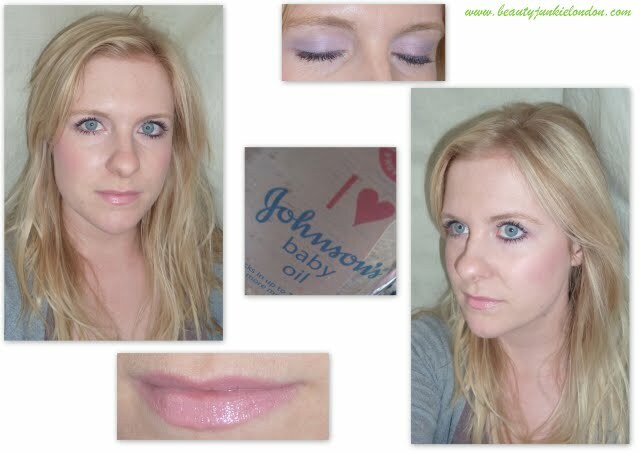 So, the I heart Johnson’s Baby Oil Challenge – I’ve been invited to create my own ‘I heart JOHNSON’S® Baby Oil look’ look, using this well loved product and post my idea to be in with a chance of winning a trip to Milan for Fashion Week in September. My first thought when it came to the challenge was what do I use Baby Oil for? I’ve used it for a whole manner of things. But one main use is to slather my hands in the oil, put on some gloves and leave my hands and cuticles to moisturise overnight. So I decide to play around with a Johnson’s Baby Oil inspired nail-art look. The I realised that nail art really isn’t my thing when I ended up with the below that looks like it was inspired more by Mr Blobby…check out the giant blob on my pinky! 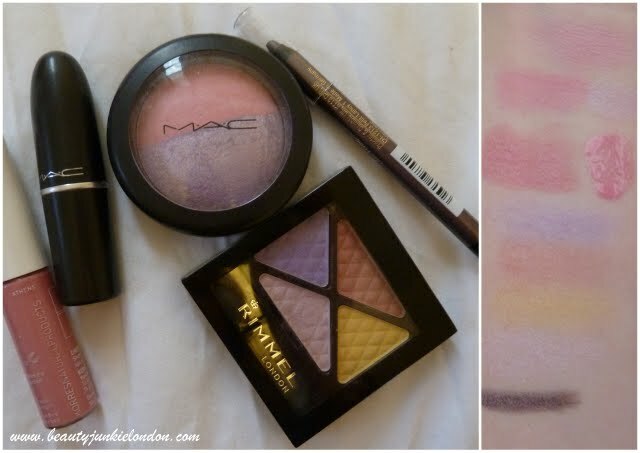 So I used a selection of pink and lilac products with a very subtle hint of yellow. Best thing about Johnson’s Baby Oil inspiring this look? I can use it to take it all off – baby oil is amazing as a make-up remover! I have been asked to work with the makers of JOHNSON’S® Baby Oil to try their product and blog about it. They have sent me a free sample and the winner of the best blog as determined by a panel of judges will win a trip to Milan during Fashion Week. Products marked with a * provided as PR samples. Ooh I didn’t know Baby Oil can be used as a makeup remover – definitely trying that!